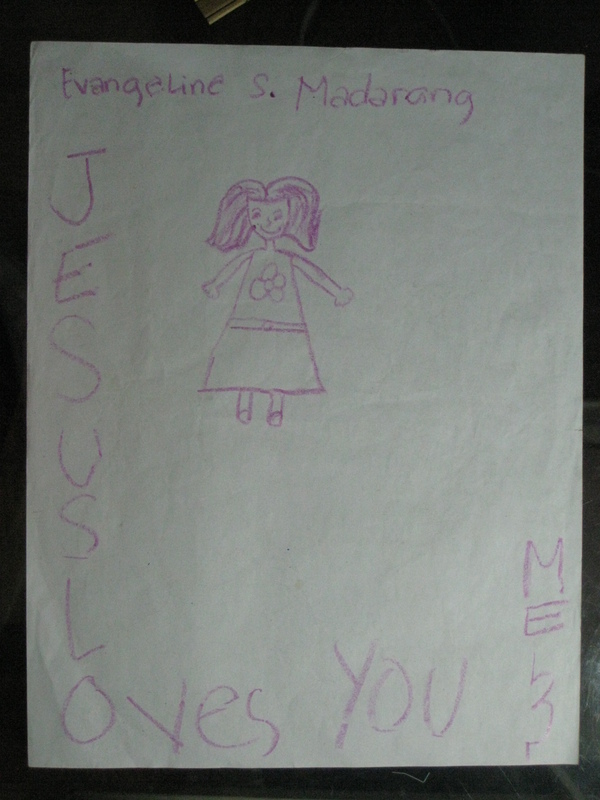 Will You Do This for Jesus? 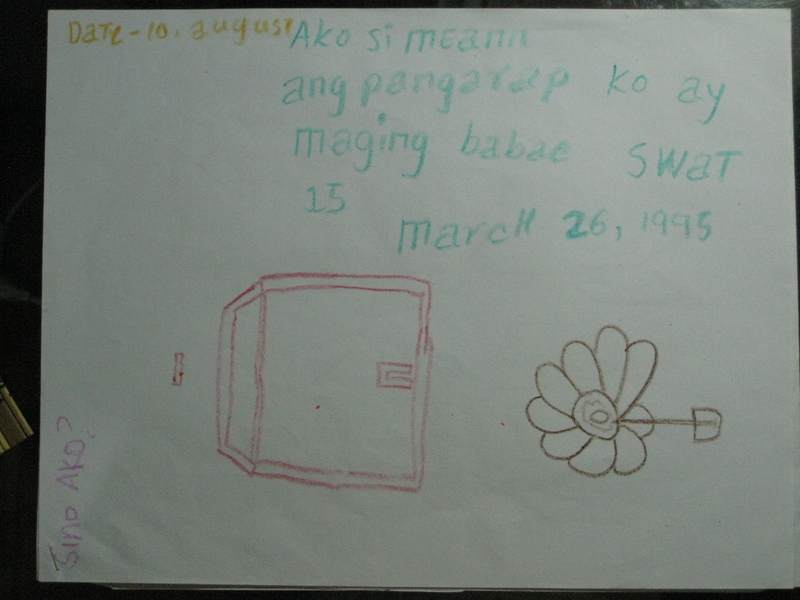 Even street kids like them have dreams. Drawing their answer to the question, "Who are you?" 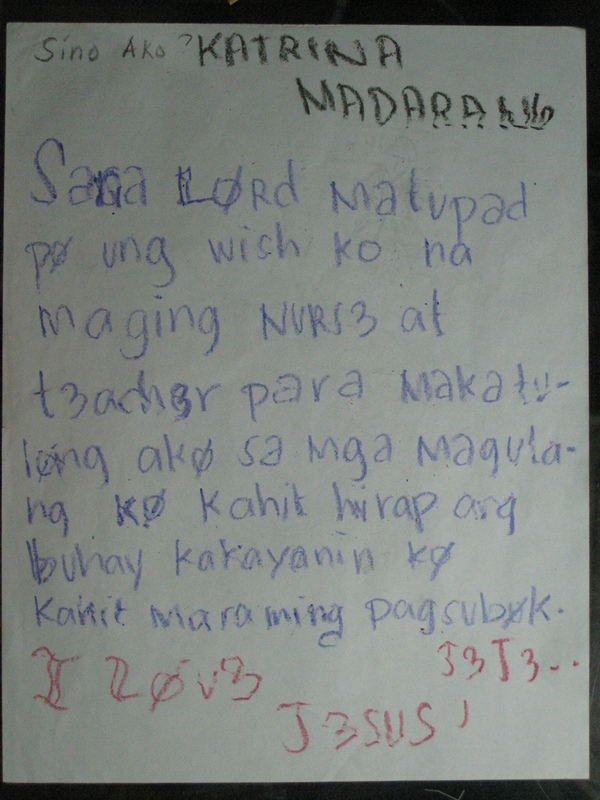 Katrina dreams of becoming a teacher and nurse. 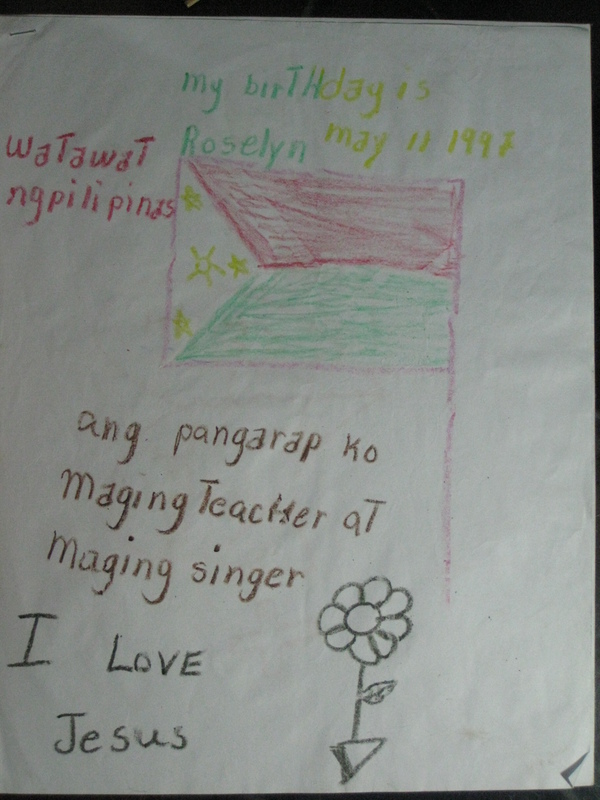 Roselyn dreams of becoming a teacher and a singer. 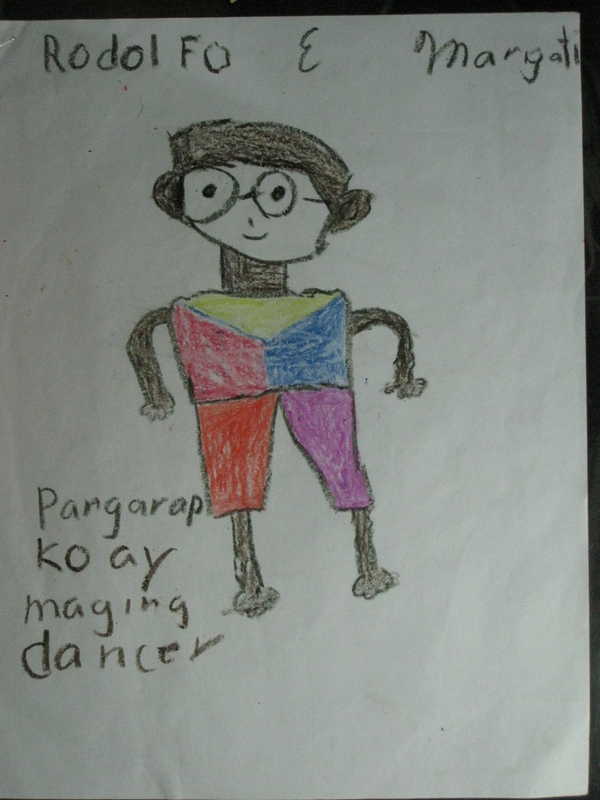 Rodolfo dreams of becoming a dancer. 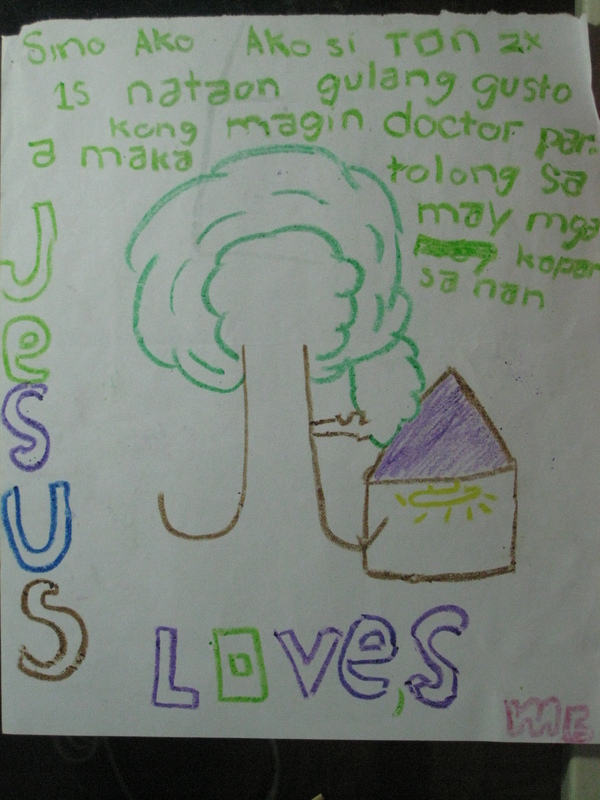 Tonton dreams of becoming a doctor. What will you do for them, or for other people who are neglected, despised, and poor? Will you do that for Jesus? Read or download sermon here.